This year, Apple not only has new Airpods to go with your Apple Watch but has released a new edition of spring watch bands & cases. 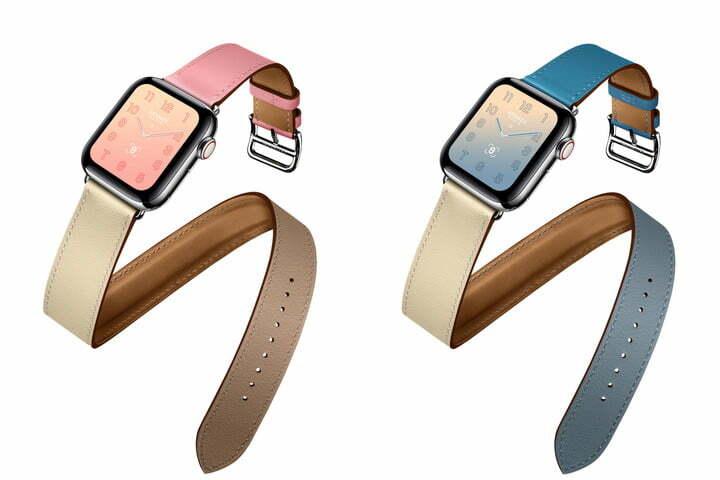 This new line of Apple Watch accessories looks like an explosion of color pastel hue that perfectly fit the season. Not just color, the collection also has different styles of Apple Watch Band including Hermes and Nike versions. Although the bands are intended for Apple Watch Series 4, you will also be able to use them for earlier series models as well. As we all know, the bands are available in both 40mm and 44mm. Lightweight and breathable, these sport bands are designed for fitness fanatics. Made of nylon weave, it comes with a reflective thread designed to shimmer as light falls on it. This loop band also has a hook-and-loop fastener for quick adjustment, and dense loops, on the other side provides proper cushioning. The color and style range includes 44mm Lilac loop, Hyper Grape Nike loop, 40mm Spearmint, and Teal Tint Nike Sport loop. Leather bands come in two different range- loop and modern buckle. The leather loop is available in two designs including 44mm Cornflower and Sunset Leather loop. However, the color range has two more variants such as Stone and Cape Cod Blue. These bands fit both medium (150mm-185mm) and large (180mm-210mm) wrists. Crafted from supple Granada leather, this band comes with a solid and modern buckle that is actually a two-piece magnetic closure to secure the watch. A layer of Vectran weave is added for strength and stretch resistance. The color range including 40mm Cornflower, Sunset Modern, and Lilac. This band is also available in Ruby shade. Case size is 40mm, and the bands fit small (135mm-150mm), medium (150mm-185mm) and large (180mm-210mm) wrists. Handcrafted by artists from France, the Hermes bands are made from Barneia leather, supple swift leather or textured Epsom leather. These bands come in beautiful gradient shades and have an effect that will match to exclusive Hermes watch faces. The color range for Hermes bands include 40mm Bleu Lin/Craie/Bleu du Nord, Rose Sakura/Craie/Argile, 44mm Bleu Lin/Craie/Bleu du Nord, Etoupe, Indigo/Craie/Orange, Feu, Fauve, and Bleu Indigo. However, these bands only fit one size (160mm-195mm) wrists. Along with all the above bands, there is a new range of Nike Twist Sport Bands. Made from high-performance fluoroelastomer, the band is soft yet strong and durable. The soft band drapes seamlessly around your wrist and gives you a comfortable fit around your skin. Moreover, it also has a pin and tuck closure that offers a clean fit. The color range includes 40mm papaya, spearmint, hibiscus, delft blue, nectarine, pacific green, lavender gray, blue horizon, stone, pink sand, white, midnight blue, black, and red. However, the twisted range colors are 44mm Teal Tint/Tropical Twist, Spruce fog/Vintage linen, Black/Hyper grape, Pure Platinum/Black, Black/Volt, Anthracite/Black, Olive Flak/Black, and Smokey Mauve/Particle Beige. The best part is that these bands can be configured to all the lengths including S/M and M/L. Fits 130-200m wrists. 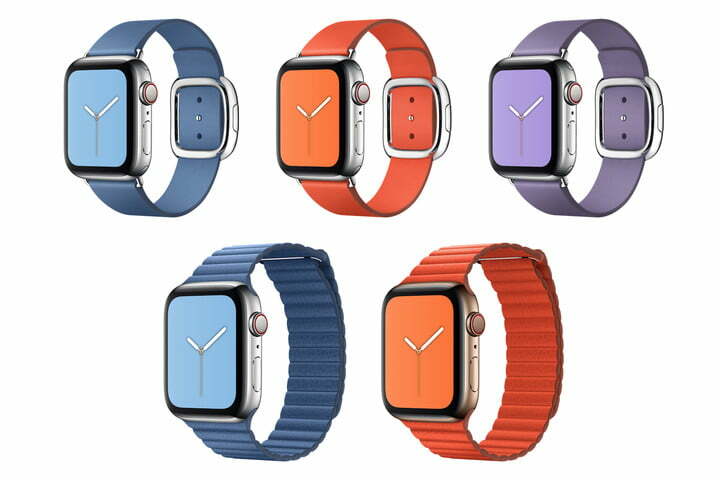 The price range of spring edition Apple watch bands starts from $49 and goes up to $339. We are sure that you have loved these bands from spring edition, but what if you want to go beyond the band. At Limitless Bands, every Apple Watch band is unique, works for everyone’s style, and is made to go with you. While spring mentioned above bands have taken all our attention, the limitless infinite loop bracelet is no less. Made of stainless steel, this loop bracelet is a modern design of a Milanese loop that was created in Milan in the 19th century. It wraps around your fluid seamlessly and can be adjusted into any size. Compatible with watch series 1, 2, 3, 4, sport, and watch edition, it is available in 42mm and 44mm band sizes. The color variety includes silver, black, vintage gold, blue, rose gold and purple. There are times when we want to go all versatile. Whether you are looking to flaunt a boyfriend watch, business look, casual appeal or a watch with a dinner dress, confidence bracelet is sure to help. Crafted from stainless steel, this band has a clasp lock design that makes it fit your wrist effortlessly. This band is a classic choice and is sure to make a powerful statement about you. Available in silver and rose gold color, you can choose the one that suits you the best. Featuring a fusion of link and classic bracelet, this Limitless fusion bracelet is made of zinc alloy metal and has a locking link clasp. The band is light as compared to stainless steel and is compatible with Apple Watch Series 1, 2, 3, and 4. It also fits with Sport and Watches edition. The color range available for this fusion band includes silver, black, classic gold, and rose gold. Whether the Limitless Apple Watch band does not fit or you have changed your mind, you get 90-day returns. Free shipping is available, and a 1-year warranty is also applicable. Resizing of bands does not require any tool or expertise. Along with the above collection, you can also check out the Limitless elegance bracelet and Infinity bracelet. The versatility of Apple Watch and numerous straps available through Apple and third party is one of the many reasons we love this tech accessory. So, whether you have an Apple Watch or want to buy one this spring, the bands in this article are sure to cater to your needs.